Cross-cultural gay love story that lacks a certain spark. 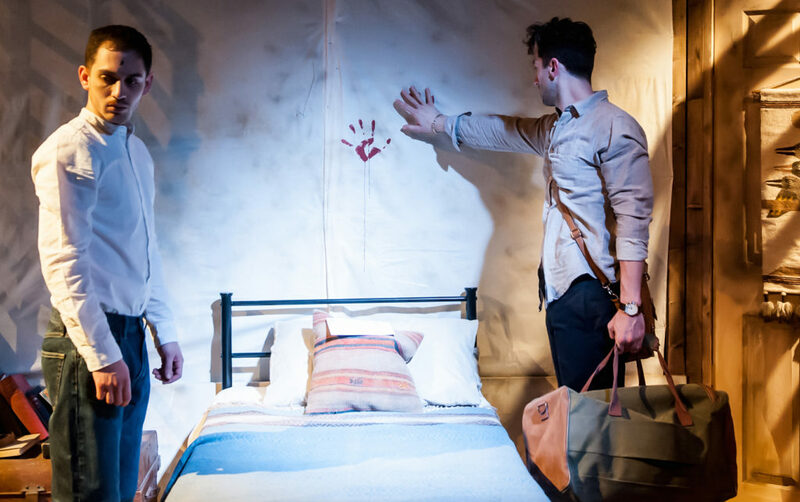 “What is your relationship to this man?” It’s a question that recurs through Tom Coash’s play, and it’s one that neatly keeps the focus on the two central characters. These are Nicholas (Marc Antolin), a British academic working in Egypt, and his native lover Mohammed (James El-Sharawy). His name having been “on a list” since some political cartoons in his student days drew him to the attention of the authorities, the play begins with Mohammed, newly released from police custody, where he has been tortured and abused but not charged with anything. Nicholas’s horror at the state-sponsored brutality convinces him to bring Mohammed back to the comparative safety of the UK, but the situation isn’t that easily resolved. The psychological impact of his experience has a profound effect on Mohammed, which Coash’s script effectively dramatizes. If Mohammed’s world has really shifted so significantly, what does that mean for his relationship with Nicholas? Some easy but truthful laughs are mined from Britain’s colonial history, while the themes of Nicholas’s privileged ignorance and naiveté are effectively explored. Mohammed clings to his faith and his nation as the cornerstones of his identity, putting him and Nicholas increasingly at odds. 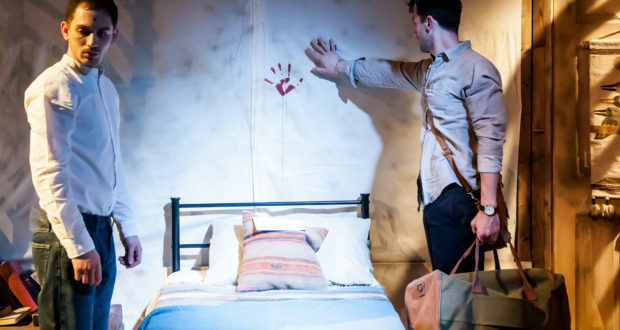 Perfectly suited to Park 90, the smaller of Park Theatre’s two stages, the action is entirely played out in Mohammed’s apartment, on a beautifully realised set by Emily Bestow. Unfortunately, there’s a lack of chemistry between the lead actors, but the play stands as an interesting story of love crashing into a widening cultural divide.